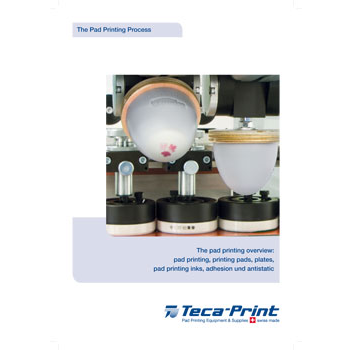 Pad printing is an indirect photogravure process. 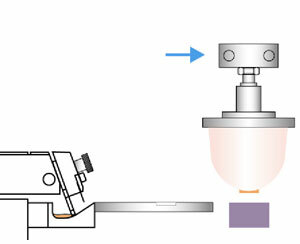 Depressions are etched into a flat plate and then they are filled with ink. 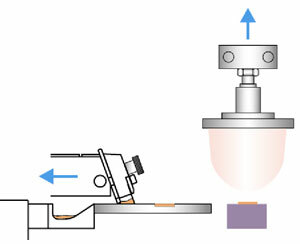 A smooth silicone pad is used to pick up the ink of the plate and carry to the surface of the component. 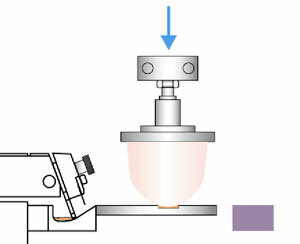 The thinner evaporates from the surface of the ink in the plate and the ink becomes sticky. The pad sinks down on the surface of the plate and the ink sticks to the pad. The pad is then lifted up from the plate. 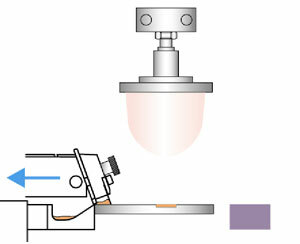 The ink layer is detached from the plate. 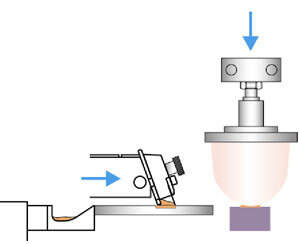 The ink is carried by the pad to the surface of the component. The thinner evaporates from the ink on the pad. The ink becomes sticky. 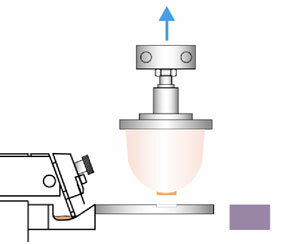 The ink is applied to the component’s surface and remains on the object. 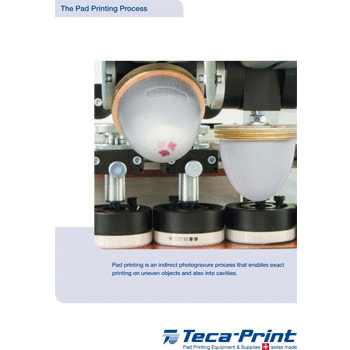 The pad is lifted off from the component and the ink layer detaches from the pad and stays on the component.